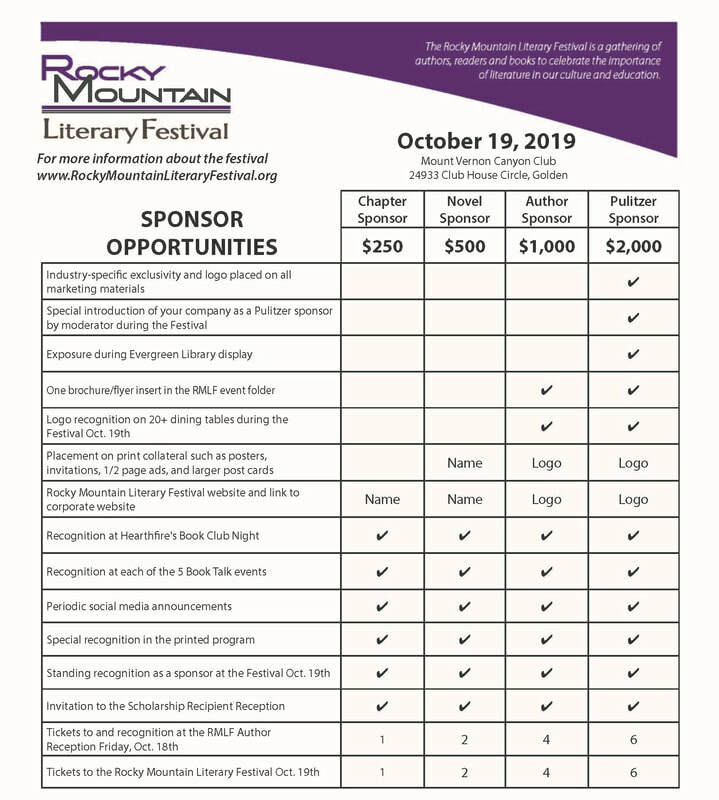 If you need additional information or would like to learn more about becoming a sponsor for future Rocky Mountain Literary Festivals, contact Nancy Hiester at Nancy@BootstrapsInc.org. Make checks payable to Bootstraps, Inc., a 501(c)3 nonprofit organization, and mail to PO Box 4234, Evergreen, CO 80437. Bootstraps is the fiscal sponsor of the Rocky Mountain Literary Festival and will receive a portion of the proceeds of the Festival.